DELAWARE, Ohio – After surveying hundreds of Ohio Wesleyan University students about their OWU experiences, The Princeton Review has deemed the University to be one of the nation’s “Best” and “Best Midwestern” colleges for 2018. At Ohio Wesleyan, “students are happy, lab facilities are great, internships are widely available, (there’s) great financial aid, everyone loves the Battling Bishops, (and) frats and sororities are popular,” according to The Princeton Review’s new guidebook, released this week. For the new guidebook, “The Best 382 Colleges: 2018 Edition,” The Princeton Review’s editors surveyed 137,000 college students nationwide – approximately 358 per school – about their school’s academics, administration, campus life, student body, and themselves. 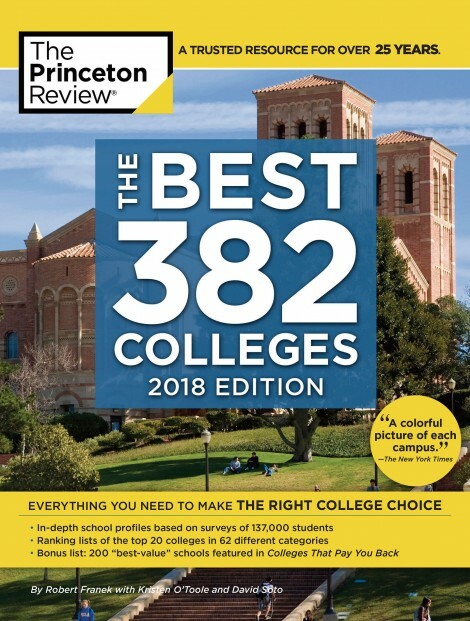 Learn more about The Princeton Review, its “The Best 382 Colleges” guidebook, and its methodology at www.princetonreview.com/best382. Learn more about Ohio Wesleyan, including academic opportunities and enrollment information, at www.owu.edu/admission.